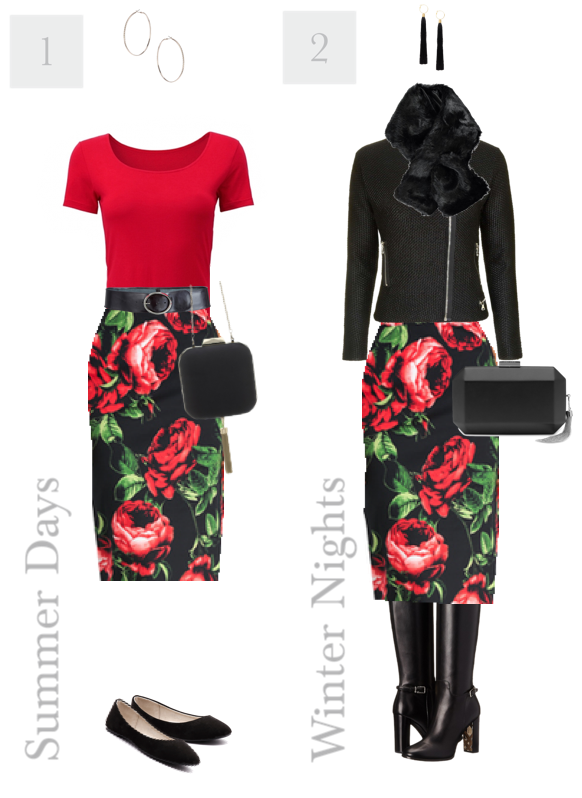 I’m in love with this rose skirt from Myer! Such a pretty design, the perfect length and shape – it really doesn’t need much as it’s so lovely in and of itself. I love it with red and with black so I’ve just stuck to that here, choosing some simple structured pieces to complement it nicely. How would you style this gorgeous skirt?